Institutions of higher education are experiencing the largest influx of enrolled veterans since World War II, and these student veterans are transforming post-secondary classroom dynamics. While many campus divisions like admissions and student services are actively moving to accommodate the rise in this demographic, little research about this population and their educational needs is available, and academic departments have been slower to adjust. 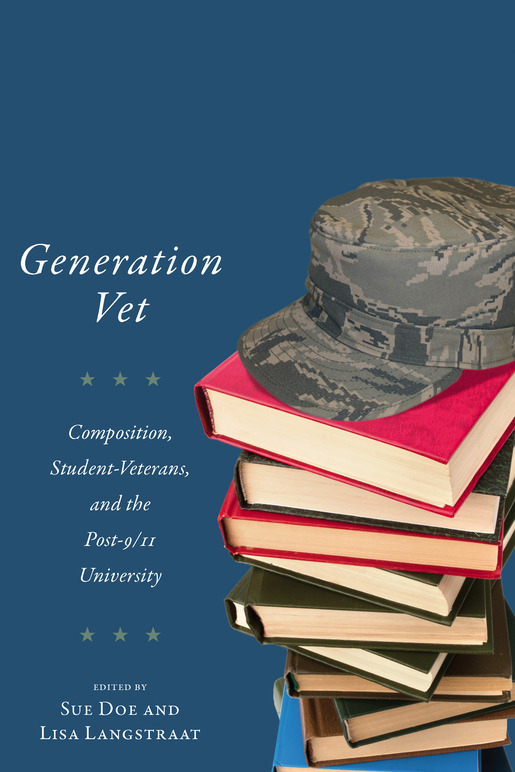 In Generation Vet, fifteen chapters offer well-researched, pedagogically savvy recommendations for curricular and programmatic responses to student veterans for English and writing studies departments. In work with veterans in writing-intensive courses and community contexts, questions of citizenship, disability, activism, community-campus relationships, and retention come to the fore. Moreover, writing-intensive courses can be sites of significant cultural exchanges—even clashes—as veterans bring military values, rhetorical traditions, and communication styles that may challenge the values, beliefs, and assumptions of traditional college students and faculty. This classroom-oriented text addresses a wide range of issues concerning veterans, pedagogy, rhetoric, and writing program administration. Written by diverse scholar-teachers and written in diverse genres, the essays in this collection promise to enhance our understanding of student veterans, composition pedagogy and administration, and the post-9/11 university.